Between 1848 and 1854 the Semmering Railway was constructed. It was the first standard gauge mountain railway in Europe. The railway line features 14 tunnels (among them the 1431 m summit tunnel), 16 viaducts and over 100 curved stone bridges as well as 11 small iron bridges. No need to say that conditions for locomotives were hard. On the 37 km stretch between Payerbrack and Murzzuschlag gradients reached 25 ‰. The minimum radius of curvature was 190 meters. In gradients it was still no more than 285 meters. Today these conditions would not be considered extraordinary, but in those days engineers were at a loss to know how to cope with them. Many even believed it was impossible to build locomotives that could master the conditions on this railroad. In 1850, the Austrian Ministry of Commerce and Public Works issued an invitation for designs of locomotives capable of dealing with the traffic on the line. 1. The "Bavaria" built by Maffei, a locomotive with three trucks, and transmission by chains. 2. The "Wiener-Neustadt" built by the engineering firm of that name. All these locomotives fulfilled the conditions of the competition, but, in subsequent regular service, none of them gave satisfaction. The prize of 240,000 francs was awarded to the " Bavaria." The chain drive however was not up to the harsh conditions. The Semmering section was actually worked by Engerth locomotives. 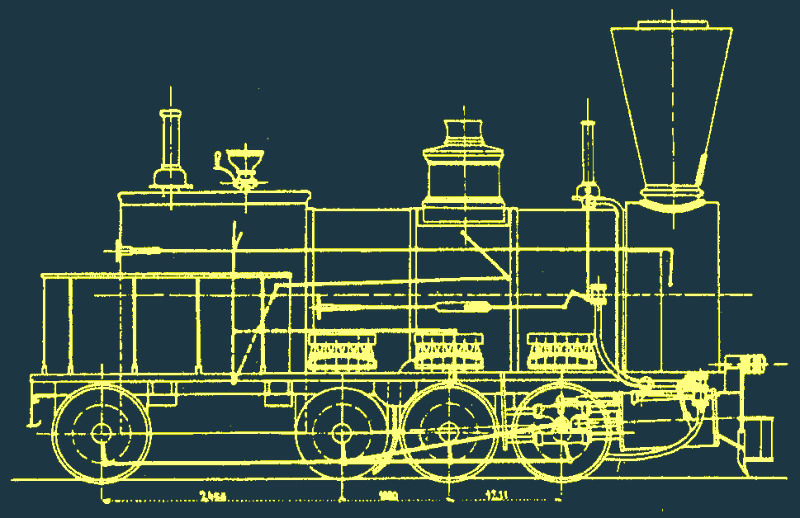 The Semmering contest proved to be an important turning point in railway engineering history. It had similarly comprehensive effects on railway engineering as the Rainhil trials, some 22 years earlier. Although earlier attempts were made to articulate locomotives the principles and feasibility of articulation were clearly demonstrated here. The "Wiener-Neustadt" is considered the godfather of the Meyer locomotives and the "Seraing" is the prototype of the Fairlie group. Fairlie took out his patent in 1863. Meyer exhibited his design in 1862 and 1867 and his first locomotive was built in 1868. In 1877 Mallet proposed compunding of existing systems of articulation. He patented his own system of articulation in 1884.